The ETP-RT Ring Terminal Temperature Probe is available in a range of sizes. 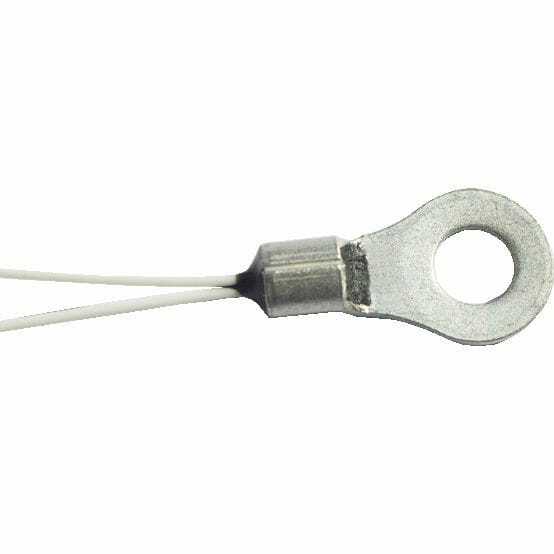 It has resistance values from 2.2-100kΩ. The ETP-RT Ring Terminal Temperature Probe also come in NTC and PTC versions although if you are looking for a quick solution the ETP-RT Ring Terminal Temperature Probe is ex stock available. Cutomised versions of this temperature probe are available.